I really loved my dress! I would have tell my friends about it. My experience at Bliss help make the most memorable mother-daughter experience I have had in my whole life. The people there were so helpful and kind!!! We were suppose to pick up a different at a different store but then my mom surprised me by taking me to another spot ( Bliss ) where she saw some pretty amazing dresses. We went there and I tried dress after dress found a couple cute one and then I picked of this one dress that look so-so on the rack but then when I tried it on and looked in the mirror the tears came streaming...this was the dress! I now know the feeling of what the bride talks about when she finds "the one" you feel goosebumps coursing through your body and the happy tears start to flow :') Thanks so much for making my special moment come true ? You have outstanding staff to help choose gowns! Thoroughly a great experience! My experiance at Bliss was very warm and welcoming. I live in Ankeny and had been to a few bridal stores in Des Moines. They barely cared I was there. The Idea of listening to what I was looking for and explaining the process before we started was wonderful. I really enjoyed the experience I had. I really enjoyed my shopping experience here while trying to find a prom dress. Your store had a large variety of dress with a nice price range but there weren't so many that it was overwhelming to look through them. Most of all though I appreciated the service. The ladies were very helpful and friendly but they weren't to clingy that I felt pressured or annoyed. I found two beautiful dresses today and the staff was patient and attentive while I tried to find what I was looking for. I will definitely have to remember this place for the future. Thank you for making my day a good one and my experience a great one. Keep doing what you're doing. I really appreciate the experience I had shopping at Bliss. The staff knew exactly what dresses to pull to make sure I walked out with the perfect dress. Thank you for the amazing experience! I had a great time, loved how personal it was and I LOVE my dress <3 Thank you! my experience was pretty great; the girl i had was obviously a new associate, but she was very nice and did what she could to find a dress of my liking. i found that when i arrived there were quite a few associates working, with only 2-3 actually being productive, while the others sat or stood around talking near the front. it gave a feeling of "we don't care that you're here and were too busy talking.. so don't ask us to help you." other than the obvious, my girl ended up helping me find a dress that may be a contender 😀 happy with my possible choice and may be returning. Its a nice environment and great selection of dresses but i had a budget of $500 and i was trying on $1000 dresses. I ended up falling in love with one so i bought it but i really would have liked to stay in my budget. I stopped by on my lunch hour - very helpful and fast. Thank you! I absolutely loved my appointment at Bliss! I didn't expect to find my dress that quickly, but I did and I am so excited about it! Wonderful service. Jodi picked out exactly what I wanted before I knew I wanted it. I would recommend Bliss to anyone. Wonderful experience! Everyone was very helpful and caring! Found 2 dresses that I love! I'm thinking I will be back very soon!! Thankyou for a Blissful day!! First off I would like to thank you guys for making it a good experience :). It was an awesome time. You really helped out on finding my perfect dress. You really foind my style in all of them. You even picked out things I didn't think I would like but grew to love. I can't wait til my wedding to really wear my dress. Also you guys let me choose my dream dress for my special night. The staff at bliss was very professional. The dresses were all absolutely beautiful. I found my wedding dress and it was the first dress I tried on. Looking forward to shopping for bridesmaid dresses there. Thank you so much for the wonderful shopping experience! Never dreamed I would find my dress that fast! Your store and staff are amazing! 5 gold stars all the way! I had a great experience shopping at Bliss. I tried on a variety of dresses and had the bridal fitting area to ourselves. Even though I didn't make a decision yet, I appreciate the expertise and offerings Bliss had to offer! Enjoyed my bliss experience. Had a wonderful day there. I loved the service we received. It made what I assumed to be a crazy, stressful process, fun and even easy. I enjoyed my visit to Bliss. It was everything I dreamed of when looking for the perfect dress. Everyone who attended with me felt a very warm welcome and we will highly recommend your store to other brides! I truly enjoyed and appreciated the time and efforts put forth by Jodi when shopping for my dress. She was very helpful and accomodating to both me and my mom. The other stores I went to this weekend did not stand a chance next to Bliss. I would absolutely recommend this store to anybody searching for formal wear or wedding attire. Thank you so much for making this an enjoyable experience. I love Bliss! The first dress I tried on was the perfect one! Bliss is a great store with great customer service! & by far has the best selection in the area! Bliss was the first bridal shop I went to when it came to looking for a dress. I honestly didn't think I would find my dress on my first shopping trip...but I did! There was a great selection to choose from, but Jodi was great about bringing me gowns to try on based on what I told her I liked. She also had me try things on that I might not have thought of before-and I ended up choosing one of them! She was also great about picking gowns that were in my budget and helped me find the perfect accessories. The rest of the staff were also very friendly-I would highly recommend Bliss to any bride to be! 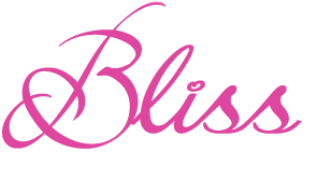 I had a great experience and i'm so glad i decided to go to Bliss Bridal. The sales people were so friendly and very helpful. She found me the perfect dress. Prices were extremely reasonable and i'm so excited about my dress purchase!! I love that your wedding dress appointment is personal, and the environment makes the special day seem extra special. Jodi was extremely helpful and great at what she does! It was great going in with an open mind and finding that the little things that you love (and don't love) is something you have to experience by trying dresses on. If you have a moderate budget, I definitely recommend finding your wedding gown here. They seem to have a vast range of sizes, colors, and styles. It was great having the right size when trying things on to truly visualize what it will look like. And I bought mine off the rack! Fantastic place! I really enjoy looking for dresses at Bliss! It is so nice how the hair tie system works. I think it is awesome and very helpful that somebody is there to help zip or hook the dress for you and to hang the dress back up! Thank you for a great experience. Bliss is amazing! Jodi did a fantastic job in helping me find a dress. I absolutely love my dress and can't wait to wear it!! THANK YOU BLISS!!! I really liked the email and text reminders that were sent to me before my appointment. I also liked the introduction email with the document explaining what I could expect and what dress types are available. I appreciated your customer service, helping with dresses for my sister and mom too. Thank you! I had a great time there. You guys made us feel comfortable and welcome. We had another great experience at Bliss. Sarah was great helping us with all the Homecoming dresses. She made it fun for us. The selection of sizes was great also! We we be back again for sure!! I thought it was really great that all of the dresses I looked at were under my budget and I was encouraged to try on dresses that were outside my wish list so that I could see how different styles fit my body. Ended up finding some of the dresses I didn't initially think were my style were extremely flattering. When I walked in I was greeted with smiles and cheerfulness. It was my first time dress shopping and I mainly came to only look and get an idea. I tried on probably 10-15 dresses and the first one I tried on was the one I fell in love with. My consultant was extremely nice and very understanding about my weight conscious issues as well as my budget and what I thought of for accessories. I really couldn't be any happier. Thank you bliss for making this a trip to remember!!!! I really enjoyed my visit at Bliss and I thought was atmosphere was wonderful and very inviting and set the mood for shopping for my wedding dress. The service was great and the dresses were very neat and the whole store is very organized! Great! Jodi worked with me recommending dresses and I ended up buying a dress I had first rejected because it was strapless, but when Jodi recommended a little lase jacket. I feel in love. And she was very accommodating to my guests one especially when the mother of the groom had to arrive late. Natalie was extremely helpful and nice. Our visit was short but I walked out with my perfect wedding dress! It was exactly what I wanted well within our budget plus they gave us an extra 50 off on a sale they were doing. I live in Mason City, but they were too overpriced but AL was just right. Getting my dress at Bliss was a fun and amazing experience! All the workers were nice and understanding of you wanting to get that special dress! I would recommend going to Bliss for any dress for your special day! Jodi was very nice and helpful. I enjoyed my experience at Bliss. I would recommend Bliss to other future brides. I had an awesome experience today and will definitely be back in a few weeks with the bridesmaids as well I hope. Awesome experience.!!! Consultant very focused on you and what you are looking for. I am so very pleased with my experience at Bliss in Mason City. The wedding dress room is like a wonderland of very elegant dresses, jewelry, purses and shoes. They have a dress to fit every budget. Jodi has been a pleasure to work with. I am so please with the wedding dress and accessories that I have purchased. I can hardly wait to wear it on my wedding day. Thank you Jodi! Had such a great experience at Bliss! Jodi was beyond helpful on selecting the styles that I really wanted to try! The one on one attention as the only bride to be in the room made the day extra special for myself and family that came with me. We were treated like royalty and all had a great experience! Jodi was very attentive to our needs and allowing me to try on many dresses. She was great! I had an amazing experience shopping for my wedding gown. I came into the store with very little thought on what I wanted or what would look best, but that did not stop Jodi from helping me find the dress of my dreams. I would recommend bliss to any bride who wants a dream experience when shopping for her gown. Jodi was attentive, kind, and helpful through the entire process and it made my choice easy! Thank you Jodi and Bliss!! They are very friendly and have great customer service! They showed you exactly what you wanted to see also didn't treat you like you were wasting their time! I had a wonderful experience at Bliss finding my perfect wedding dress! Jodi was fantastic at finding dresses for me to try in the styles I wanted and the price range we were looking for. I would highly recommend Bliss! From the moment I walked in I was very impressed. The store was clean and everything had a place. The decor in there was also perfect for the bridal/formal wear. Customer service was great! The owner and her employee made me feel very comfortable and they helped me find exactly what dress I was looking for! I ended up saying yes to my perfect ballgown dress. Thank you again for your help! I was thoroughly impressed with your system and store. It was a great experience and I would definitely recommend your store to anyone looking for a wedding dress!